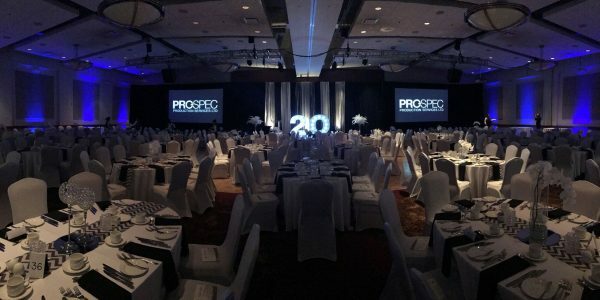 CORPORATE AV | PRO-SPEC Production Services LTD.
Pro-Spec Production Services LTD. is one of BC's top audio visual equipment suppliers specializing in live production (touring and concerts), staging, corporate events and permanent installations. Your meetings, conferences and corporate events are the highlights of your year. We know you need a professional audiovisual provider who will ensure that your guests have the very best experience. Be available before and after your event for all your audiovisual-related needs. What Can We Provide for Your Event? With us on your event team, you can rest assured that your AV is in the best hands. We can provide everything from a basic “Speaker and Microphone” package, to a fullly designed turnkey audio visual solution. If your venue has some AV equipment already, we supplement as needed, to ensure we are always cognizant of your budget. 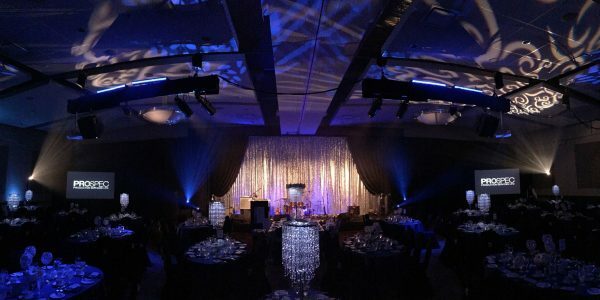 So, Why Choose Us for Your Corporate Event? With over a decade of experience in Corporate AV, and as the in-house suppliers at a large Convention Center, we understand the importance of professional, timely and flawless AV for your conference or meeting. Above all, you want your attendees to leave with a lasting, positive impression – and so do we! Fill out our contact form, or call us at 604-568-9601 – we’ll take care of everything, and you can relax, knowing that it will all go exactly according to plan.